A Dark Noir Sci-Fi Satire! 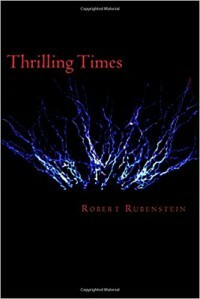 Thrilling Times combines a dark noir detective piece with a psychological drama replete with elements of literary and political satire; and while the effort sometimes proves a challenge to neatly categorize for genre-specific marketing purposes, it cultivates a dark sense of entertainment and angst. On the surface, this is the story of a detective recovering from electro-shock therapy who is on a mission to find the girl who landed him in trouble. However, this is no light pursuit. Thrilling Times presents graphic metaphorical sexual scenes, violence, a talented female photographer's penchant for depicting realistic terror in her 'galleries of the gruesome', and evolving relationships between men, women, and those who would obtain power over one another. All this is woven into a complex backdrop of social inspection and accusation, the creation of masterpieces of depravity, terror and horror, and sizzling scenes designed to agitate reader sensibilities as they follow a murky, complex world and characters who can barely navigate their lives; much less each other. Hidden within the overlay of a detective piece are a series of literary and social reflections that force readers to wade through scenarios of depravity and dark characters in survival mode to navigate the trajectories of love and its high price. There are characters willing to die for love and possession as well as moments of passion intertwined with graphic displays of depravity, juxtaposed with sweet scenes that each demonstrate Robert Rubenstein's prowess at crafting metaphor and analysis. 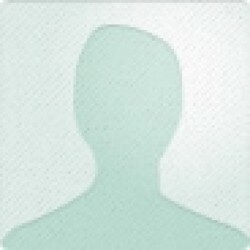 The language is as much a draw in the story line as its characters and their special purposes, immersing readers in a mercurial adventure story that moves from political jest and social inspection to the dilemma of the personal with an 'everyman' lost in illusions surrounding the pursuit of love and connections. From the two-sided nature of modern culture to the setting of post-apocalyptic America and its fractured society, Thrilling Times continually challenges its readers with thought-provoking clashes of reason, psyche, and social and political structure. It is especially recommended for literary audiences who like their stories steeped in metaphorical yet explicit sexual encounters tempered with satiric and pointed observations of social and individual condition. Thrilling times, indeed!